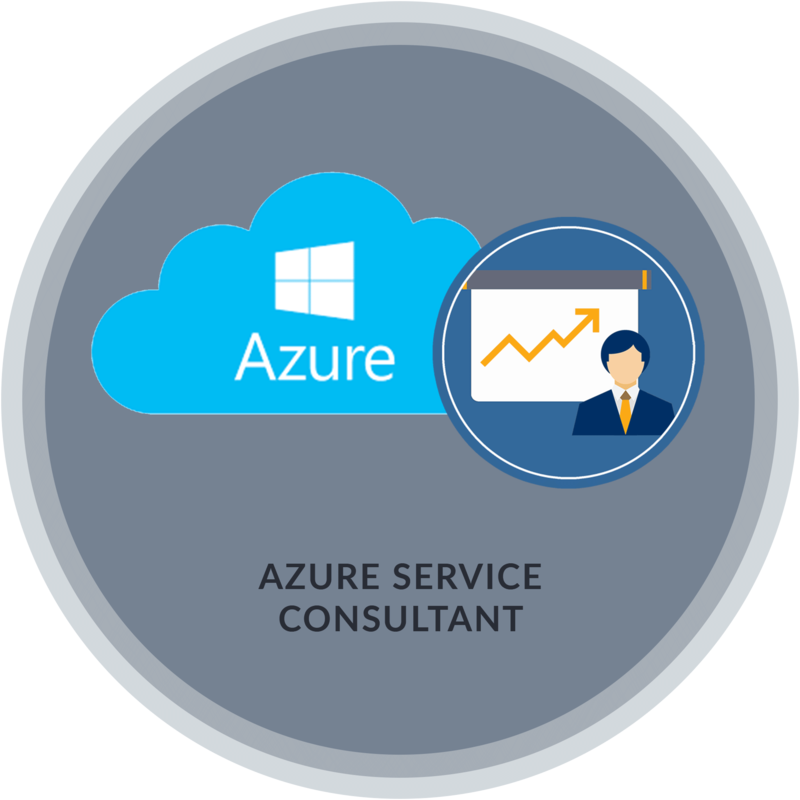 Azure consulting services is a business performance improvement framework that enables organization’s day to day decisions and links their business imperatives to functional deliverable. Our vast experience across different industries allows us to perform diagnostics quickly that help companies achieve sustainable improvements. Azure provides stronger PaaS capabilities which are an important piece of cloud infrastructure today. Microsoft Azure provides application developers with the environment, tools, building blocks that they need to rapidly build deploy wherever they want, using the tools, applications and frameworks of your choice, manage application through new cloud services. Microsoft Azure is a sophisticated cloud computing solution that lets you easily build and deploy databases, hosted services and entire web apps on your choice of technology stack-from windows and SQL server to Linux and Mongo DB. It is a growing collection of integrated cloud services, analytics, computing, database, mobile, networking, storage and web for moving faster, achieving more and saving money. Microsoft Azure is Fast: Speed of Azure is visible in the context of deployment, operation, and scalability, the functionality of Azure simply is unmatchable by on-premises or even other cloud providers. Agility with Azure: Agility with Azure: Business using Azure can develop, test, feedback and retry when developing their applications. This means that they can explore new avenues, new technologies and try features without expensive outlay or set up complex infrastructure. Global Reach: The biggest benefit of Azure is to modify the global footprint of their application dynamically as performance and utilization changes. The user will get great experience and aren’t dependant on location. Integrated Development Environment: Azure is unique among cloud solution for its good integration with visual studio, allowing seamless development flow from project set up to deployment and resource management. We were able to build an engine that utilizes the scalability of Azure and increase capability. Integrated Delivery Pipeline: Azure can guarantee to the high degree that is designed to create a compelling business case, the delivery pipeline from architecture perspective is source control, unit testing, integration testing, delivery, go live tools. When all tools are available under one roof the risk of integration failure reduces. Disaster Recovery in Azure: Due to major natural disaster or widespread service interruption, configure Azure site recovery for your virtual machine so that you can recover your application with a single click in a matter of minutes. Create a recovery plan so that you can automate the entire failover process for your application. You can test your failovers beforehand without impacting production application or the ongoing replication. In the event of a primary region disruption, you just initiate a failover and bring your application in a target region. Azure covers disaster recovery in spades. They have regional and global fail-over options, hot and cold standby models as well as rolling reboot capabilities that work out of the box. Flexible Expenditure: The Microsoft cloud also provides increased capacity for file storage at a cost-effective payment plan that is based on usage. It connects devices and people across throughout the business. Utilize big data and advanced analytics with cortana Intelligence. It is cost-effective option for backing up data to the cloud. Manage SQL database as a service. Azure Security: Azure helps you protect business and personal information by enabling you to manage user identities, credentials and control access. Helps ensure that only authorized users can access your environments, data, and application. Azure Compliance: Microsoft maintains compliance offerings to help you determine, if Microsoft Azure complies with the laws and regulations unique to your industry. We verify that our services meet compliance standards. It is easier for you to validate compliance for the infrastructure and application you run in Azure. Anywhere Azure Deployment: Azure can be deployed anywhere with the trusted tools and it offers hybrid consistency everywhere and supports multiple operating systems, programming languages, databases, and services. We offer all computing facilities from Azure laaS, SaaS to PaaS and data security with the help of Azure MFA and Active directory. We ensure that your Azure experience is seamless with us.